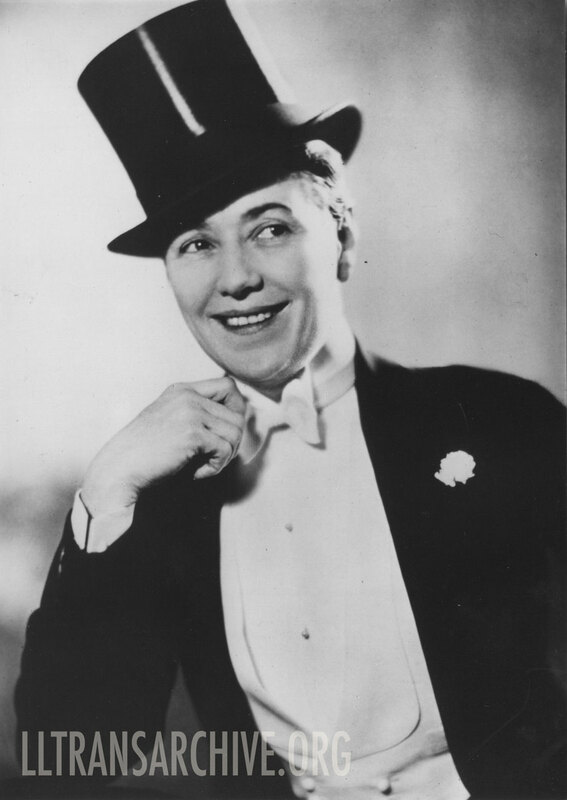 Ella Shields (1879-1952) was one of the most famous male impersonators in both American vaudeville and English music hall. She began performing with her sisters in 1898. Six years later she went solo, performing in women’s clothes as The Southern Nightingale. The story goes that one night in an English music hall, when one half of a two-man act was sick, she filled-in and the audiences loved her. She was most famous for the song and dance routine “Burlington Bertie from Bow”, written by William Hargreaves, her first husband.